CHICAGO, March 20, 2019 – The city of Chicago will welcome the 2019 FIVB Men’s Volleyball Nations League Finals on July 10-14, when the top five teams from the competition’s Preliminary Round will join hosts the United States to play for a chance to lift the trophy at the second edition of the international federation’s flagship annual competition. A popular city for major sports events, Chicago will set the scene for what promises to be a truly spectacular tournament featuring the best teams in the world. 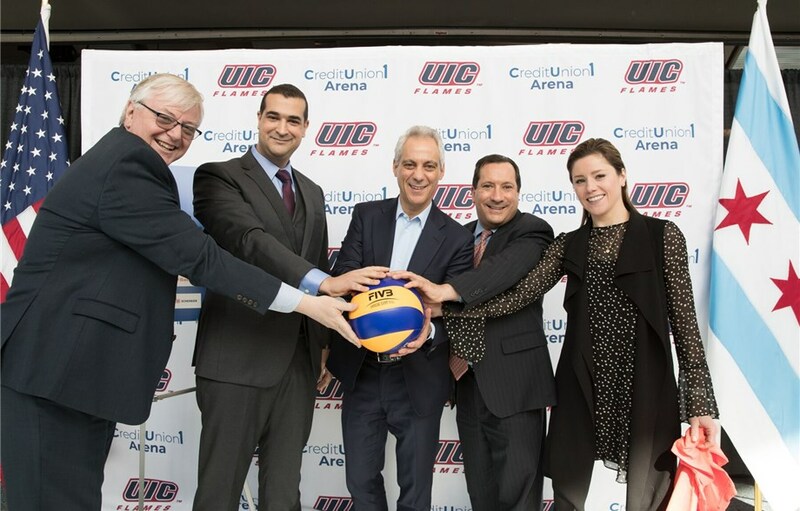 Played over five days and organized in collaboration with the Chicago Sports Commission, the City of Chicago and USA Volleyball, the VNL Finals will be held at the 10,000-capacity Credit Union 1 Arena at the University of Illinois at Chicago (UIC). Home to top teams from all the U.S. professional sports leagues, Chicago will be the focus of the volleyball world when the FIVB’s most prestigious annual tournament joins a long list of high-profile sports events held in the American city. The world’s elite men’s volleyball teams will face off in the 2019 VNL Finals in Chicago in what promises to be a thrilling conclusion to the competition. The FIVB Volleyball Nations League is the international federation’s top annual volleyball competition and features 16 national teams per gender. Starting on May 21 for the women and May 31 for the men, the 2019 VNL retains a similar calendar to last year, with men playing over the weekends and women during the week in pools of four teams each until each team has played against every other in a single round-robin tournament. The top five teams at the end of the Preliminary Round join the hosts of the Finals to fight for the ultimate prize. The inaugural edition of the Volleyball Nations League in 2018 saw Russia defeat Men’s Finals hosts France to claim gold. The U.S. outplayed South American giants Brazil for bronze. In the 2018 Women’s Finals, the United States were victorious against Turkey to earn gold and China defeated Brazil to win bronze. This year’s Women’s VNL Finals will again take place in China on July 3-7 at a venue to be confirmed.